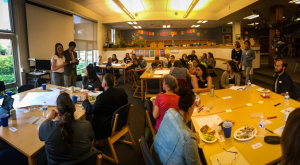 The library at Northshore Middle School in Bothell hummed with conversation and laughter on a recent spring evening as parents and teachers gathered to reflect and share about their experiences as part of a four-month Ready Washington family engagement project. Gloria and Rosario, both parents of students at Northshore Middle School, decided to participate in the project to learn more about the school system and how they could better support their children’s education. As the project concluded this spring, both women said they came away with a greater sense of support and connection to the school. 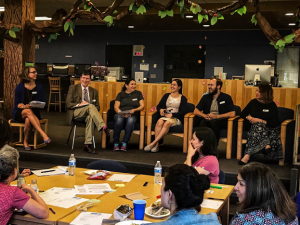 Many of the dozen parents echoed similar feelings — noting that they learned more about high school graduation requirements, created or deepened relationships with their students’ teachers, and gained confidence to engage with the school system. Ready Washington designed the family engagement project with Northshore Middle School as part of its Parent Partnership initiative. The intent is to engage more deeply with families from systemically underserved communities, understand their needs, and create tools together to help families navigate the education system and support their students to achieve their education goals. 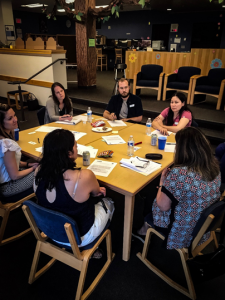 In the first phase of the project, Ready Washington partnered with 10 Spanish-speaking King County parents (including several from Northshore) who engaged in shared learning over a series of informational sessions about Smarter Balanced assessments and online tools to support students’ education. Through these sessions, parents provided valuable feedback about what they believe is essential for other parents to know about the assessments, academic support resources, and how to engage with educators. The second iteration of the Parent Partnership initiative that finished this spring was designed to impact a greater number of parents and help address concerns and communication gaps identified through our previous work. We partnered with Northshore Middle School to develop a workshop for Spanish-speaking parents focused on the purpose and application of the High School and Beyond Plan — a tool students use through middle and high school to identify and map a personalized course to education and career goals. We also supported development of a Parent Teacher Home Visit (PTHV) program. This included a training session for interested staff members and voluntary home visits set up by the school. The approach was straightforward — create opportunities for families to meet with educators outside of the school day and in a setting that was comfortable for students and parents. This approach fostered conversations and connections that were fully positive and future focused. Students felt seen, parents felt connected, educators came away inspired. 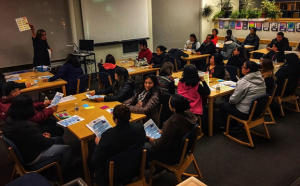 As the project concluded, parents and educators offered their learnings at a bilingual meeting. At one table, parents shared that they felt nervous before the visit, but quickly became comfortable and felt supported during and after. The experience felt “warm and welcoming,” parents and educators said. Parents said that barriers had come down, and they felt more comfortable talking with educators in the future. At another table, parents said the High School and Beyond Plan workshop was helpful in knowing the requirements for graduation, but they still had questions and wanted more time to learn. Many parents said they are more likely to encourage their friends to get involved with schools. They appreciated that the Ready Washington meetings were delivered in Spanish and English and said that more interpretation services should be available to increase parents’ comfort level and ability to communicate with educators. Educators enjoyed seeing the pride that students felt about their families, and relatedly, that family members knew all about students’ goals for the future. 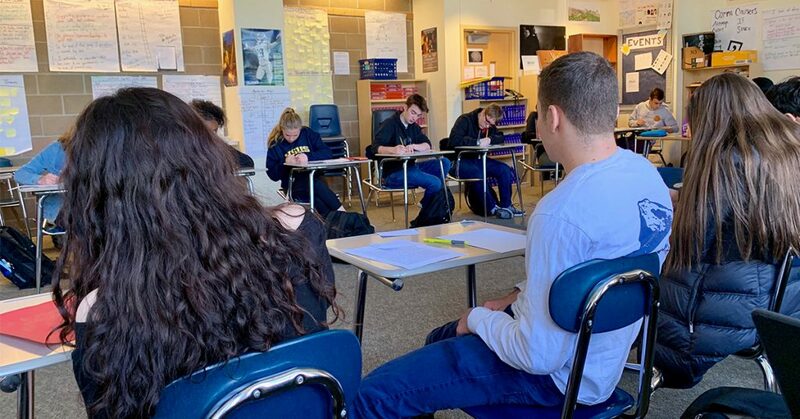 One educator said it was eye-opening to see the high level of responsibility one of his 8th grade students has at home — a different life than the educator grew up with just a few miles away. At the end of the meeting, parents and educators were slow to leave. Many were eager to continue the conversations and connection. As Ready Washington concludes the second round of the Parent Partnership, we are looking to feedback from parents and teachers who participated to help guide our work going forward. We learned that parents deeply value information about their students’ educational pathway and graduation requirements; that connecting authentically with schools will enable parents to reach out to educators more regularly in the future; and that offering engagement opportunities in their language, Spanish, is critical. Educators in the project said the visits were an unexpectedly positive and powerful opportunity to connect with families and learn more about their students. Educators want to see the visits continue as a way to partner with families and improve students’ success. All of these learnings will factor into Ready Washington’s future engagement efforts. We are committed to creating clear, easy-to-use information for families to help their students get ready to pursue the career pathway of their choice. We think there is no better way to understand the information and resources that families need than engaging with them as partners. We are so grateful to the students, parents, educators, and administration of Northshore Middle School for partnering with us on this powerful project! Thank you! Big thank you also to Alma Villegas Consulting for leadership and support on this project.